Question answered: Are there ice cream truck territories in Chicago? Alex Sadeghi runs Pars Ice Cream and has been in the business since he was 16 years old. Sadeghi points out routes to reporter Lauren Chooljian. Some of the trucks in the Pars fleet. The sheer variety of ice cream available on trucks is one fact that helps keep customers coming back. Are there ice cream truck territories in Irving Park? Bridget has a four-year-old son, so she&apos;s pretty well-versed in the ice cream truck game. She says her son is "obsessed" with the ice cream truck that drives through her Northwest Side neighborhood along Irving Park Rd. She says he always gets a chocolate and vanilla-swirled soft serve. But Bridget said, sometimes, as she drives her son through the neighborhood, they&apos;ll notice a completely different truck — one that blasts a different song and sports different colors. And, she said, they&apos;ve only spotted it near the interesection of Irving Park Rd. and Whipple St. This, you could expect, has caused some familial friction. "There&apos;s not much you can do to stop a four-year-old from hearing the music," Bridget told me. "I don&apos;t want to bring him over to the next block [to see the other truck]. He can&apos;t eat it fast enough. I wish they would come down our street." That got Bridget thinking: Do these ice cream trucks follow the same route, and do they only frequent specific territories? Curious City intern Logan Jaffe and I tried to answer Bridget&apos;s question head-on, but after hours of idle driving (is searching for ice cream really ever &apos;idle&apos;? ), we didn&apos;t find a single truck out in the wild. We could scratch this up to the fact that we searched during the mid-afternoon, which is probably a tad too early in the day. 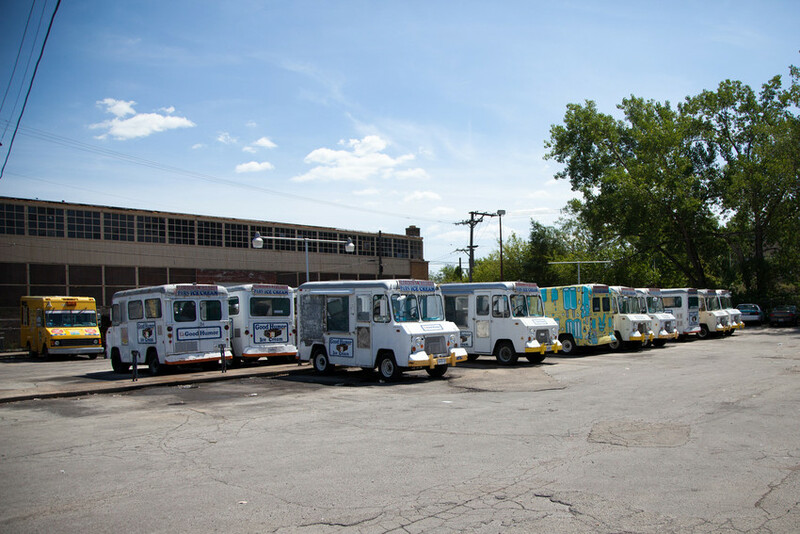 I changed gears by working up the proverbial food chain, and settled on talking to the owner of a West Side outfit called Pars Ice Cream, a frozen desserts distribution center that opened in Chicago in 1991. A buff and voluble man named Alex Sadeghi, 49, runs the place. Given that that he&apos;s been in the business — starting as an ice cream truck driver — since he was sixteen years old, he was as much of an expert as we could expect to find. It didn&apos;t hurt that he seemed to love his work and seemed to love talking about it, too. During his conversation with me and Curious City editor Shawn Allee, Sadeghi bounced between being poetic and practical when it came to the frozen stuff. He sometimes verged on the evangelistic. 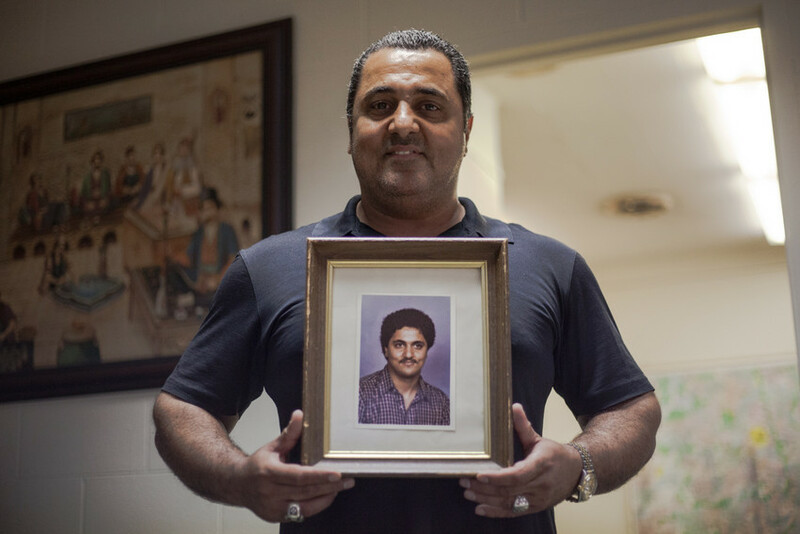 "It [ice cream truck culture] really helps the parents to show the kids how to spend their money," Sadeghi said. "How to go ahead to the truck and [make] their first purchase. Also, it&apos;s up to parents to walk kids, show them the safety, how to look before crossing the street, and that’s a good beginning for the kids." Sadeghi told us most ice cream trucks in Chicago are independent contractors; they come to a business like his to obtain a license, lease an ice cream truck and buy ice cream and other stock. As independents, drivers can go anywhere they please, but Sadeghi says the best business model for them is to follow a specific route or territory every time. "It’s a preference to drivers," he said. "If the drivers believe there&apos;s a couple trouble-maker kids in the block, that they throw rocks or eggs at the truck, then maybe he&apos;d decide not to go, or someone could come out and give him a hard time for their own safety they may refuse to go. "But if the street is a good street, there’s no way the driver would avoid it. He would go." Sadeghi said he couldn&apos;t speak directly to Bridget&apos;s neighborhood in Irving Park, as he doesn&apos;t track drivers&apos; routes. But he said he&apos;s certain that informal territories existed all over Chicago — not just on the Northwest Side. He said the territory system is mostly informal, but real and very important to drivers. Johnny Macx leases from Sadeghi and has worked the same downtown area for decades. Macx&apos;s truck (a 1965 model) is one of the last working antique trucks, according to Sadeghi. I asked Johnny Macx the same question that Bridget asked us: Territories? "Same old, rigamaroo," he said. "Downtown in the Loop, my spot at Canal and Monroe. Shouldn&apos;t have said that! Then I leave there, go across NBC tower, around Sheridan, you know, North Pier. Then I’ll end up — if theres a ball game — then I go to Wrigleyville." According to Macx, most long-time drivers have an understanding about territories. "See, there’s a rule among ice cream vendors," he said. "You don’t pull in front of somebody else because it’s just uncouth." And, he added, for those that break the unsaid rules, there can be consquences. "There are people going in the same areas and, if a newcomer goes into an established area — established by someone else — then they’re going to get very mad, maybe hostile," he said. Sadeghi confirmed that territorial fights are common. There have been many times, he said, where he&apos;s had to call drivers into his office to mediate disputes. He said one intervention that works is to take the drivers to a large map in the back of his office and show them — right there on paper — just how big the city is, and how many great locations are available. "You can’t take sides, you bring &apos;em in, talk to both of them and explain to them at the end of the day we need to help each other and help industry. Fighting with each other is not going to help at all," Sadeghi said. But he said there&apos;s more to answering Bridget&apos;s question than quarrels over turf. Really, he said, territories are also determined by the tastes and the make-up of customers. Part of where a driver goes is determined by the stock that&apos;s in the truck. "If you’re in a city like Chicago which has the second-highest Latino population after LA, you need Spanish paletas," Sadeghi explained. "If you’re in an African-American neighborhood, you need to have more fruit like strawberry shortcake. Or chocolate éclair. If you’re in the white neighborhood, then you need toasted almond, you need, of course ice cream bar." Ald. Howard Brookins (21st) says these rules were most likely put in place because community members raised safety concerns. "Those restrictions were put in place under my predecessor and we just haven’t done anything to lift them. I know that even when I’d taken office that there were some community groups who complained about the ice cream truck," he said. "They didn’t want ... children running out and darting out in front of cars to get to the ice cream trucks." Some of these restrictions were put in place in the 1990s — so long ago, according to Alderman Brookins, that the intended effect (keeping trucks out of certain wards) doesn&apos;t necessarily prevail, as ward boundaries shift every ten years. According to the official boundary codes, Bridget doesn&apos;t live in one of these restricted areas. Before I left the offices and freezer case at Par Ice Cream, Alex Sadhegi made the case that Bridget and everyone else should consider another kind of ice cream territory, one that he feels threatens the sustainability of Chicago&apos;s ice cream truck business: the freezer section of the grocery store. There are so many options for ice cream in grocery stores these days, he said, and that&apos;s taken a toll. He also admitted that tossing big boxes from a freezer into your shopping cart can also seem to be a better value than buying individual snacks from a truck. But, Sadeghi protested, buying from a truck is still better. 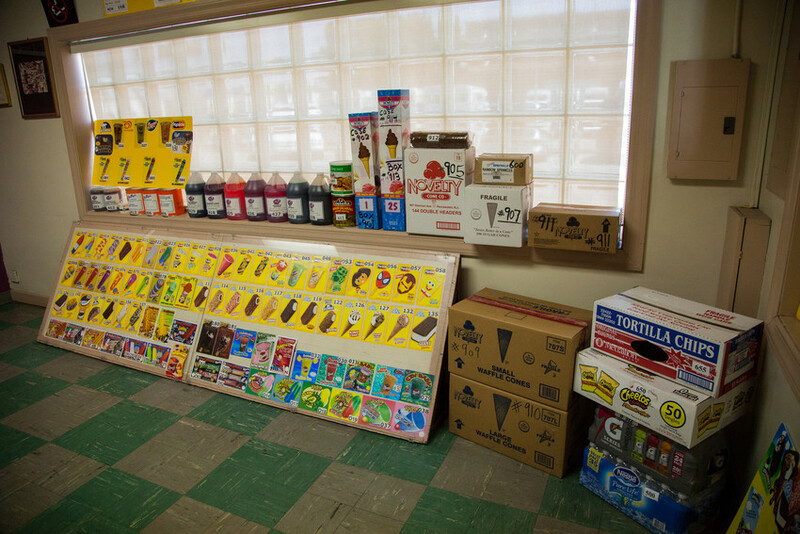 “When kids go to ice cream truck they have anywhere from 50-75 choices and they can look, and when they purchase that ice cream, they purchase with all the graphics and the design, six colors with the nutrition facts on it and the sizes are always bigger. The quality, we believe as myself and my colleagues is a lot better quality,” he said. So what did Bridget think of the answer to her question? In a word: "Wow." We couldn&apos;t track down the exact composition of any supposed territory in close proximity to her, but maybe something Sadhegi and Macx mentioned might be at play somehow. Or, she worried, a new truck was somehow doing battle with her more familiar one.